When an asphalt shingle is beyond simple repair, it’s best to replace it. 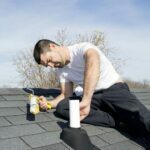 Asphalt shingles are relatively easy to replace, but the repair may stick out like a sore thumb if you don’t have an exact replacement for your type of roofing. Badly damaged shingles call for replacement. Do your best to find a replacement shingle that closely matches the original roof. 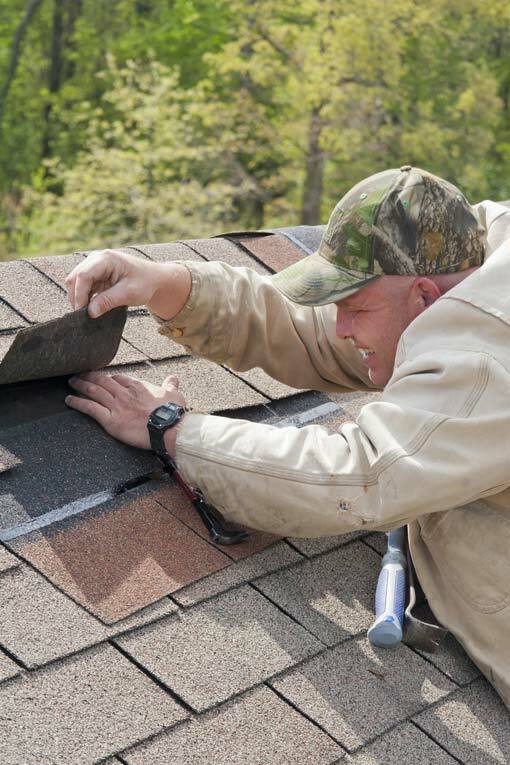 If you can’t find a suitable replacement and the repair is on a highly visible part of the roof, you might want to consider stealing a replacement shingle from a hidden part of the roof and replacing that one with the new replacement shingle. Obviously, this involves a little more work, but it may be well worth the effort. 1Use a flat prybar to gently lift the two shingles directly uproof from the damaged one. Break the black, self-sealing strip that holds the shingles in place by sliding the prybar along the length of each shingle. 2Raise the shingle tabs, and carefully pry up the nails holding the damaged shingle and the shingle directly above it (this means you’ll have to go two shingles uproof). 3Slide out the damaged shingle. If it’s still in one piece, hang on to it for sizing the replacement. 4With a utility knife, cut off a small piece from the top corners of the replacement shingle, and then slide the shingle into position under the existing shingles, being careful not to tear the roofing felt. 5Nail the new shingle in place with galvanized roofing nails, hammering against a prybar placed on the nailheads, under the shingle above. Cover the nailheads with asphalt roofing cement, and spread a little extra cement beneath the tabs that you folded back to help glue them back down. Don’t remove a slightly damaged shingle from ridges; instead, nail each corner of the existing shingle in place and cover it with a new one. 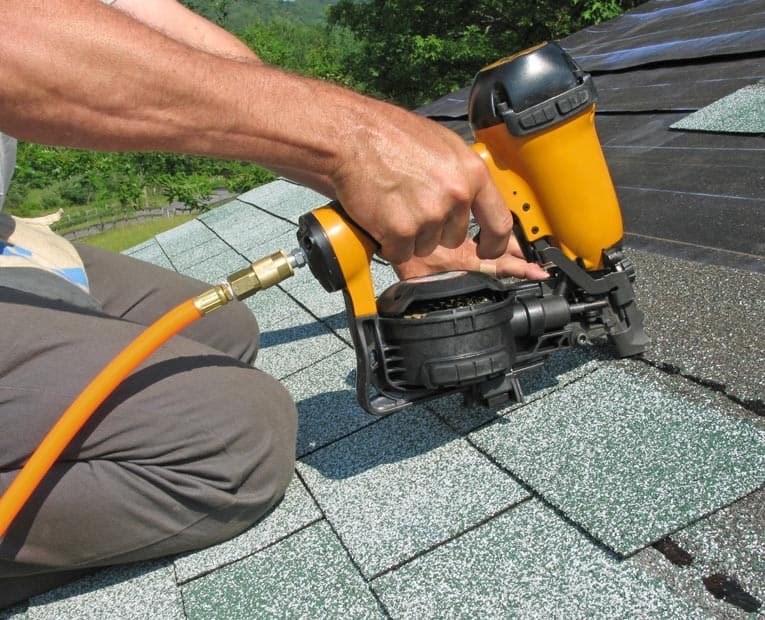 Likewise, if a ridge or hip shingle is damaged, nail down each corner with roofing nails, and apply a second shingle over the top after first coating the bottom of that shingle with roofing cement. Nail down the corners, and cover the roofing nailheads with asphalt roofing cement. 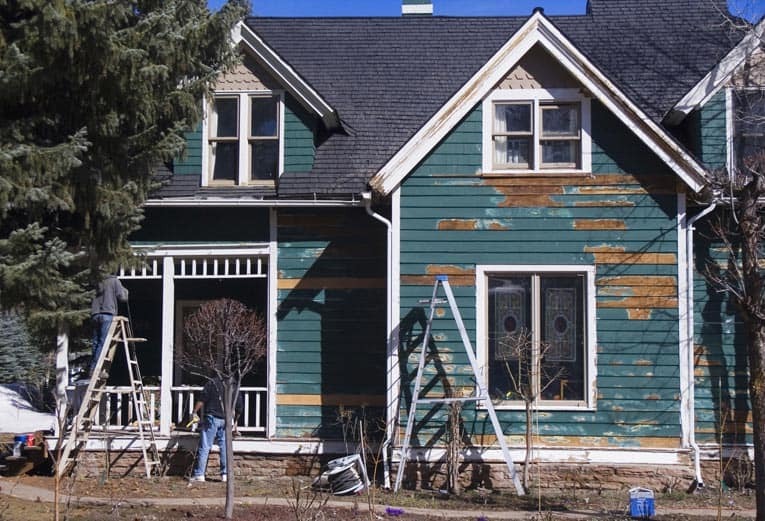 If replacing asphalt roof shingles yourself is beyond your abilities, please see our affiliate partner, HomeAdvisor (below), to receive free bids from local asphalt shingle roof repair pros. 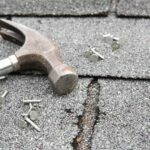 If you suspect that your asphalt roof has aged before its time, check out the new book by our friend, Tim Carter of Ask The Builder, Roofing Ripoff: Why Your Asphalt Shingles Are Falling Apart and What You Can Do About It.